Unless you’re a blind Mexican cavefish*, it’s essential you get between 7-8 hours of good quality uninterrupted sleep each night. If you’ve ever experienced that groggy foggy blur following a big night out, or a broken night’s sleep because the smoke alarm went off at 2am, there was a cat fight outside your bedroom window and your partner was snoring like the proverbial wildebeest, you’ll know that sleep deprivation reduces daytime performance. Booked yourself a weekend break with your partner and then spent the first 24 hours asleep? Chances are you’re overtired, and that accumulating sleep debt can cause significant cognitive mischief. The creation of false memories. As junior hospital doctors we used to work ridiculous hours. The only explanation given being that it was expected and part of the toughening up process required to be a good doctor. How we didn’t kill more people I shall never know. For example, there was the time I lost a dead person. I was on call in an Aged Care Hospital in South London which meant you worked your regular day and then carried a pager overnight. Sleep if you got any, was a bonus and naturally you then worked your normal shift the next day. It was a long weekend and I had drawn the short straw. I was the only doctor on duty in the entire hospital between 5 pm on the Friday until 8 am the following Tuesday. By the Monday night I was completely stuffed, mentally and physically. I remember drifting off to sleep for a brief period only to be woken by that darn page alerting me to the fact a patient had died. There was only one problem. I couldn’t remember which ward and the pager didn’t record that detail either. So, I trudged up and down those long corridors to every ward in the hospital to track down the deceased. No one would own up to having lost a patient. I even went down to the morgue to check. It turned out to be a complete figment of my imagination. A falsehood created by my mind from having too little sleep. Have there ever been those times you were 100% sure that you had sent that email, arranged that appointment, written that document, but it turned out you hadn’t? Was lack of sleep the real culprit? Regularly getting less than 5 hours sleep per night puts us all at risk. No this isn’t a solution to our lack of sleep. A microsleep is what you brain does at times of extreme fatigue. It can last anywhere between less than 1 second to….oops, 10 seconds. It’s that time when your head jerks suddenly to wake you during a boring conference or when you’re desperately trying to keep your eyes open in a deadly dull meeting. The most dangerous time naturally being when driving tired. That nanosecond of sleep is all it takes for potential disaster. This is the perfect time instead for a twenty-minute power nap, your cognitive refresher to keep you mentally alert for the next couple of hours. Have you ever had that experience when you’ve been speaking with someone who despite having their eyes open and nodding occasionally, gives you the distinct impression that while the lights are on, no one is home? And no, it’s not because you’re boring, they are just tired. Clever dolphins have developed the technique of uni-hemispheric sleeping which is very useful to avoid being taken by a shark while snoozing. Unfortunately, we haven’t learnt that technique yet but what our brain does (in mice at least) is to power down certain brain areas so you’re awake and asleep at the same time. It’s a bit like automatically dimming certain lights if you’re not in the room. Research in human teenagers found that their performance in cognitive tasks when tired was reduced. No surprises there. What was surprising though, was that they did better with the harder tasks. It turns out that forcing yourself to focus more when tired will help you to perform better. Though getting more sleep would be a far better solution. Avoid those all-nighters if you’re a woman. Gender difference rules even in sleep deprivation. 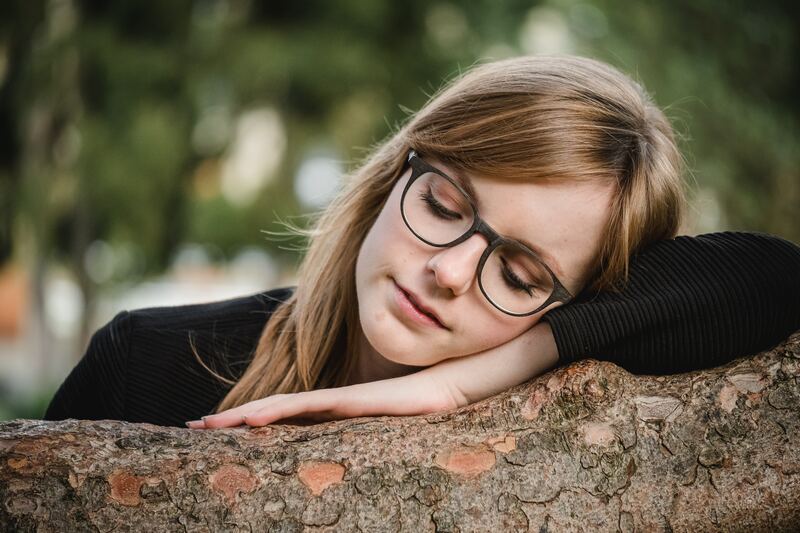 In what appears to be a totally unfair disparity, sleep-deprived women have been shown to perform more poorly on tests of working memory than men. Why that should be is a mystery yet to be solved. Pulling all-nighters, like red-eye flights would be better banned. They are a cognitive menace. What counts is the awareness that to think at your best, especially when under pressure, is to get enough sleep.